It is common view that modern day technological innovations bring in better control, safety and a number of questions to end-users. So, when implementing something like school bus security cameras, it’s natural for users to have lots of questions. We have shortlisted the 4 most common and relevant questions and answered them here. If you have more questions, you can let us know in the comment section. 1. 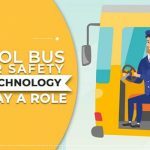 What can school bus cameras see? First and foremost, questioning the purpose of a school bus camera helps you spot the many uses of these advanced watchful devices. Cameras fitted inside the school bus help the driver in more ways than one. While concentrating on the road ahead, he can steer clear of accidents. 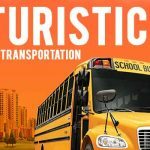 Recordings of the activities inside the moving bus can be helpful in spotting errant students along with attaching documentary evidence to an unforeseen event. Providing the driver an additional “eye-behind-him”, he can be vigilant towards the bad behavior of students. The ability to freeze images and report the same to the law-making authorities and parents brings in much-needed support to the claims of the school or the driver when an accident occurs. Information is strength. And this comes in the form of cameras keeping track of the time, speed of the vehicle, date and other information that can strengthen a particular case. Stop arm cameras are high-definition cameras fitted outside the bus to help better control the passing traffic. It is through the stop arm out feature that cameras ensure safety of school children. Focusing on the vehicles which are driving past a stationary school bus, these cameras record whether school students boarded/landed safely or not. Providing students with the best protection while crossing the road to reach their home or the door of the school bus, these cameras support with the “Safety First” ideal. In the event of a rash driver zipping past the school bus, his captured number plate helps law enforcement officials take corrective actions. 2. How do the school bus cameras work? 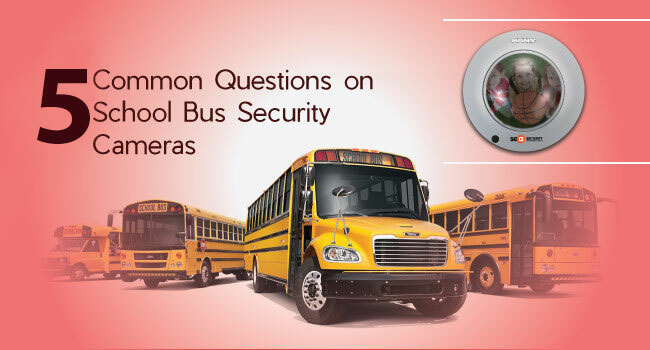 The next question is about the manner in which School Bus Security Cameras work. 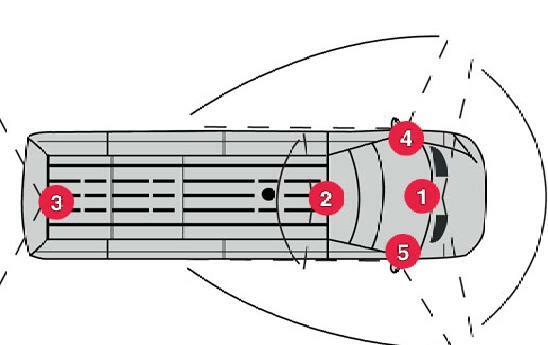 In addition to capturing images inside and outside a school bus, there are certain cameras that come with audio features as well. Audio monitoring comes as an important tool for a peaceful school bus ride. Helping the school management to spot aggressive students, it is through an audio recording that bad behavior can be identified for remedial measures to be taken. Also audio surveillance when teamed with video monitoring helping to resolve issues concerning disagreements between students, this holistically reforms the unruly behavior of students. 3. How many cameras are on a school bus? There are different types of cameras that a school bus can be fitted with. Different video cameras capture the inside activities along with what is happening outside when the bus is in motion. 3) A rear camera also called as a “school bus backup camera” offers a safe environment to students in addition to safeguarding the lives of people on the road. This camera which monitors the rear activity thus comes as a boon to students and pedestrians as well. All these cameras do their bit in not only offering security to school students but also by providing support material to resolve conflicts effectively. The well-documented evidence when produced in the form of audio and video feeds of the activities concerning a school bus journey will offer clarity about how an incident actually took place, paving the way for an immediate corrective action. Helping to gauge the speed of the school bus, these cameras present the location and driving routes which can be useful in analyzing the faulty tendencies of drivers. 4. Are school bus cameras always on? When life throws at us many surprises and shocks, it always comes as a wise move to be prepared at all times by not losing grip over security issues. Neglect is the reason behind many accidents that can be avoided. It is with this backdrop that it is important to not only keep the school bus cameras in working condition but also to always turn them on. You never know when you will need a video footage of an unforeseen event. 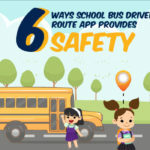 It is for this reason that a school operating a fleet of buses plying on different routes day in and day out should turn on the school bus security cameras. Students are always under the observation of teachers and authorities in school premises. But it is not the case when they travel. Normally, one or two teachers are in charge of a bus full of students, but it is quite difficult to manage everything happening in the bus. Bullying or acts related to this can happen in the bus which can harm the child but gets unnoticed. 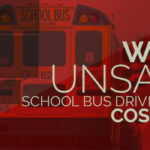 Installing cameras in the school buses can help find these acts. Live cameras are not only used for these but also to monitor driver’s performance such as rash driving, unwanted activities inside the bus. These cameras ensure student safety while travelling to and from schools. Installing these cameras will help the authorities to receive instant updates regarding school bus resulting in settling issues and disputes. And moreover, parents will get notified via messages about the location of their child’s school bus.